Het Steen is a medieval fortress in the old city centre of Antwerp, one of Europe's biggest ports. Built after the Viking incursions in the early Middle Ages as the first stone fortress of Antwerp, Het Steen is Antwerp's oldest building and used to be its oldest urban centre. 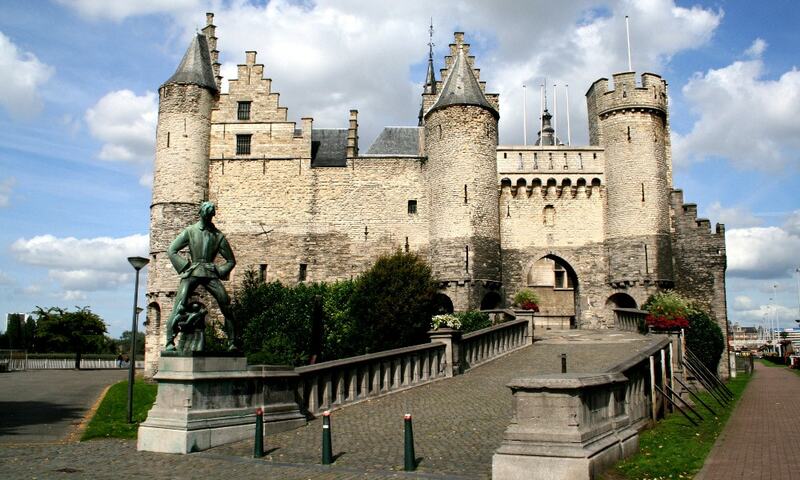 Previously known as Antwerpen Burcht (fortress), Het Steen gained its current name in around 1520, after significant rebuilding under Charles V. The Dutch word "steen" means "stone", and is used for "fortress" or "castle". The fortress made it possible to control the access to the Scheldt, the river on whose bank it stands. It was used as a prison between 1303 and 1827. In 1890 Het Steen became the museum of archeology and in 1952 an annex was added to house the museum of Antwerp maritime history, which in 2011 moved to the nearby Museum Aan de Stroom.